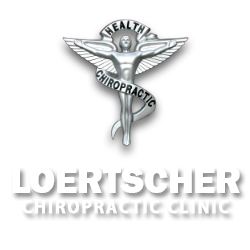 Welcome to Loertscher Chiropractic Clinic! Located in the heart of Aberdeen, Dr Fred Loertscher, with 40 years experience, is capable of taking care of all your chiropractic needs: acute injury, chronic pain and wellness care. When the spine is not aligned, common signs are: increased stress (in an already stress-filled world), lack of sleep, fatigue, and muscle soreness. Our goal: to get you, and your body, to function at peak performance, naturally. Our method: manual manipulation of the spine, based on the Gonstead Technique (known for its rapid and permanent recovery time.) We couple this with spinal x-ray analysis in our fully equipped facility. If you are new to our website, please feel free to discover and ­learn about chiropractic wellness. If you are interested in starting your journey towards wellness please subscribe to our award winning newsletter. If you are already a newsletter subscriber, please explore the member wellness section of our website for wellness articles, resources, and health facts---specifically targeted by Dr. Fred Loertscher to your wellness needs and interests.